Carol Wood joined the Desert AIDS Project in July 2017, accepting the newly created position, Director of Clinical Administration. 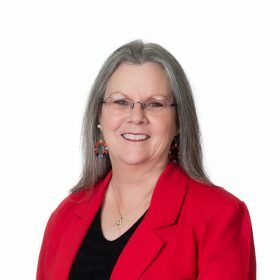 Carol brings over 40 years of healthcare experience having served in various executive leadership including acute care, skilled nursing, home health, hospice, and graduate medical education. Prior to starting with D.A.P., Carol served as Director of Operations for Graduate Medical Education at Hemet Valley Medical Center. She has previously held positions as Chief Administrative Officer at KPC Global Management, Chief Operating Officer at Inland Empire Home Health & Hospice, President/CEO at Ramona VNA & Hospice, SNF Administrator at Hemet Valley Healthcare Center and Ramona Manor Convalescent Hospital, Utilization Management Supervisor at Partnership HealthPlan of California, Administrator at IME Services, as well as various supervisory and management positions on inpatient units at Presbyterian Intercommunity Hospital. Ms. Wood has been a Registered Nurse since 1977 and earned her Bachelor’s Degree from the University of La Verne in 1983. She is a licensed California Nursing Home Administrator, Certified Forensic Nurse, and Certified Hospice Administrator. Ms. Wood has also served as an expert witness for the Board of Registered Nursing since 2000.